Studly Doright and I were in Orlando, Florida, on Monday and Tuesday this week, prior to flying to Shannon, Ireland, on Wednesday. He had meetings to attend, while I had some time on my hands. 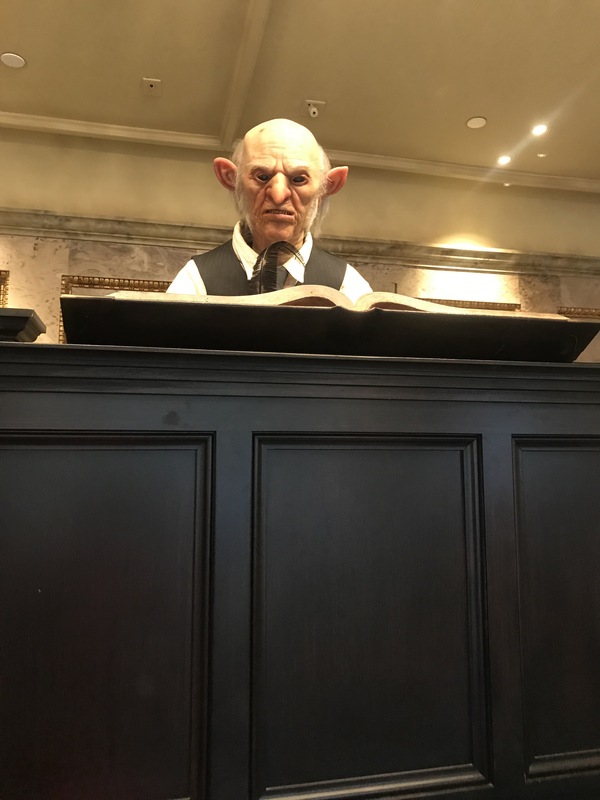 Monday I treated myself with a trip to one of the outlet malls, but on Tuesday I decided it was high time I visited The Wizarding World of Harry Potter at Universal Studios. I walked all the way back to where the map indicated Harry Potter’s world would be. 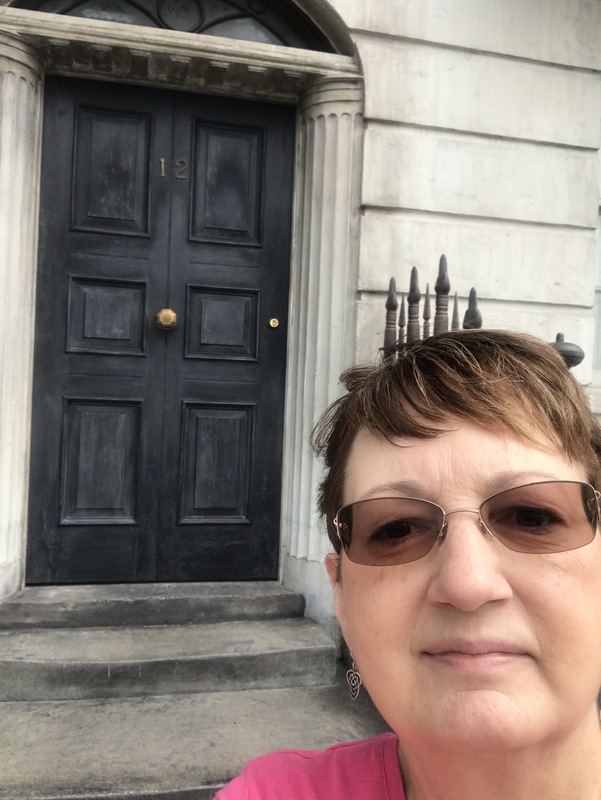 I saw the bus, and I took a selfie in front of #12 Privet Drive, but I was confused. 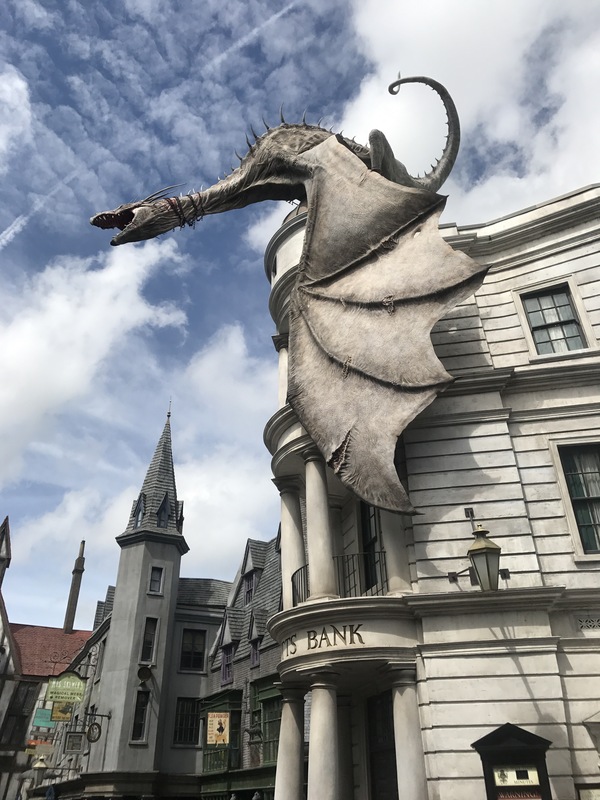 Where was Diagon Alley? I walked all the way around the area, but was stymied. Was this all there was? I’m such a Muggle, but on a hunch I walked through a nondescript opening in an unmarked brick wall, and voila! 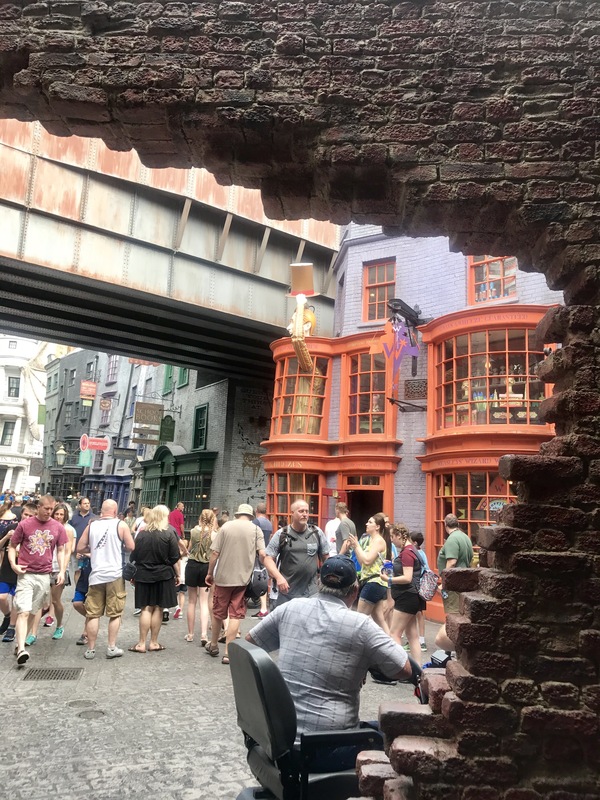 Diagon Alley! 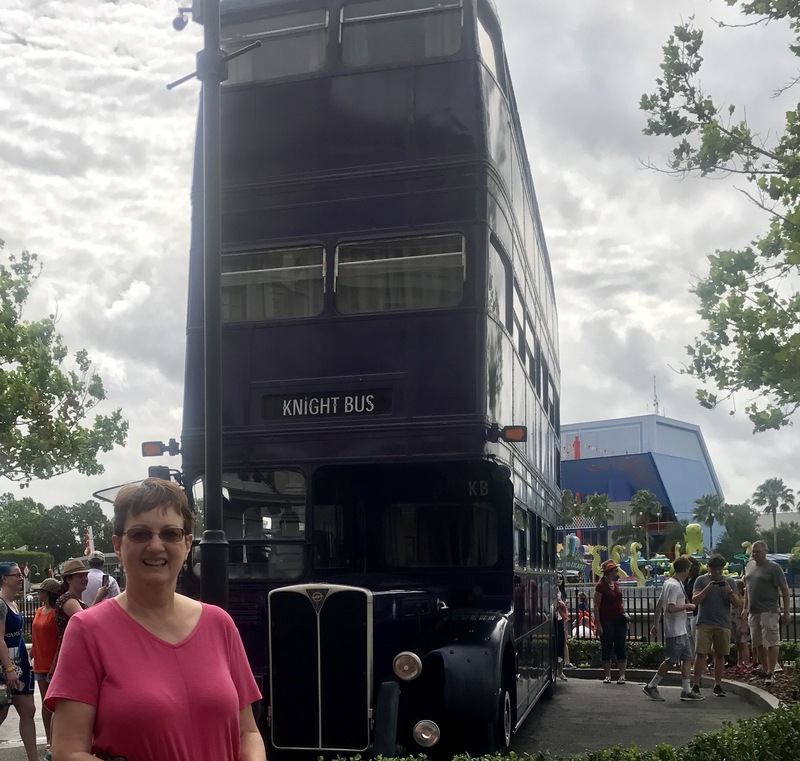 Honest, one can’t see this opening from the area where the triple decker knight bus and Privet Drive are, even though they’re just a few feet away. How wonderfully magical to be forced to stumble onto it! 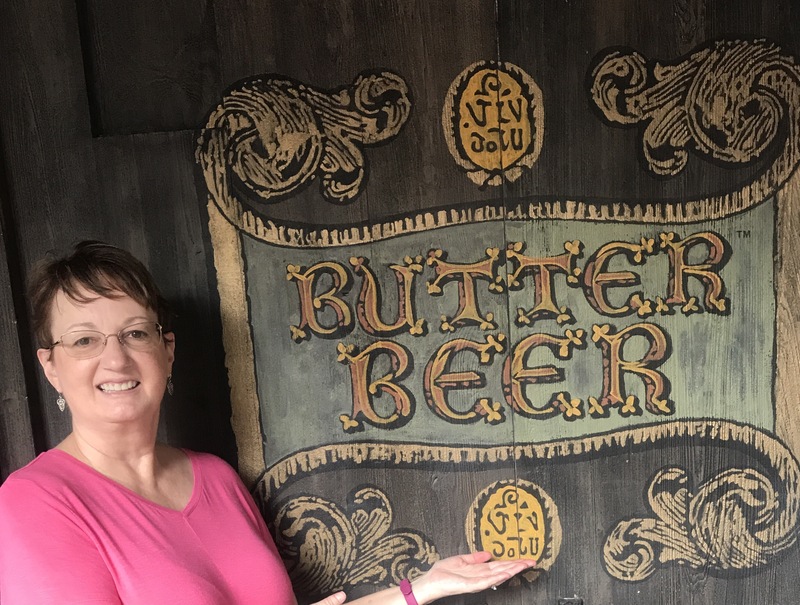 Butter beer is pretty damned tasty; although, there’s no actual beer in it. Drat. 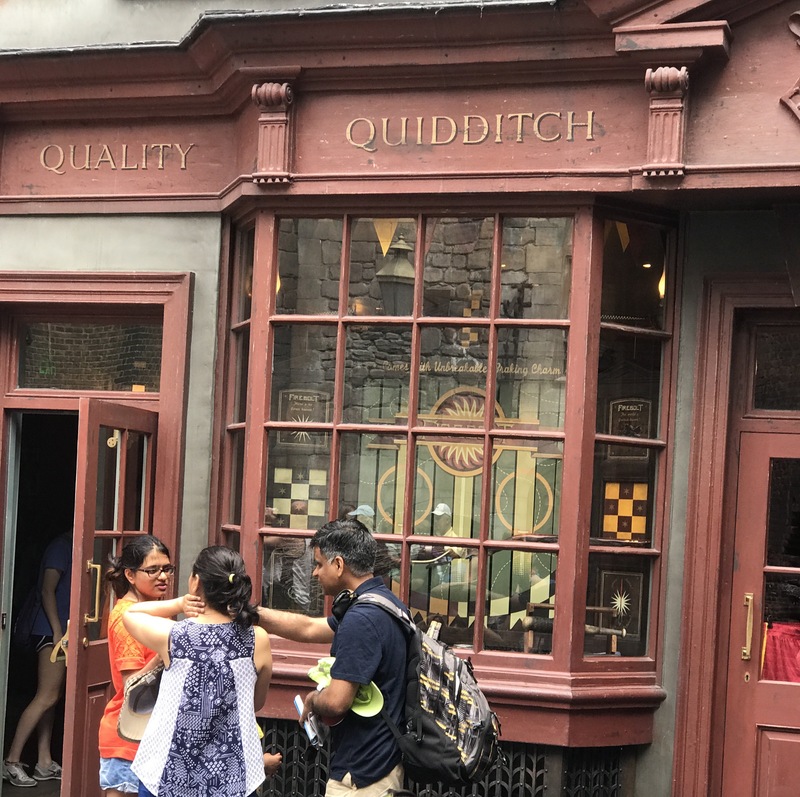 By far the longest line in Diagon Alley was formed outside the wand store. 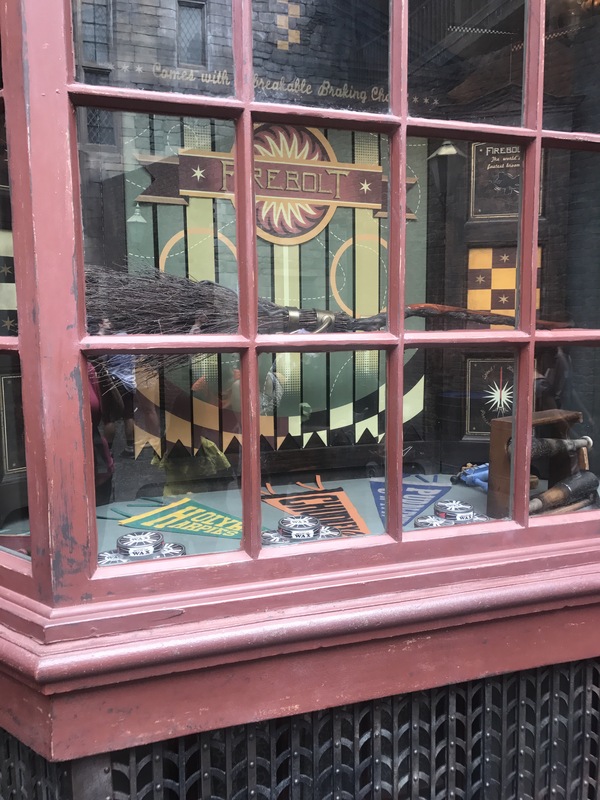 I spoke with a little girl who was still giddy that the wand she purchased had chosen her. I was tempted to join the queue, but I’ll wait until I can bring my grandkids. And a wand in my hands might not be a good idea. I solemnly swear that I’m up to no good. 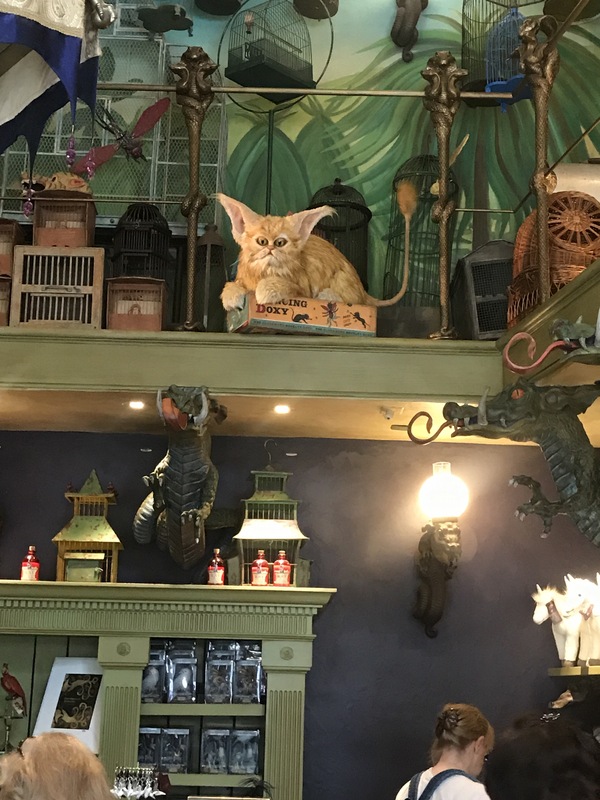 So, what were my souvenirs? 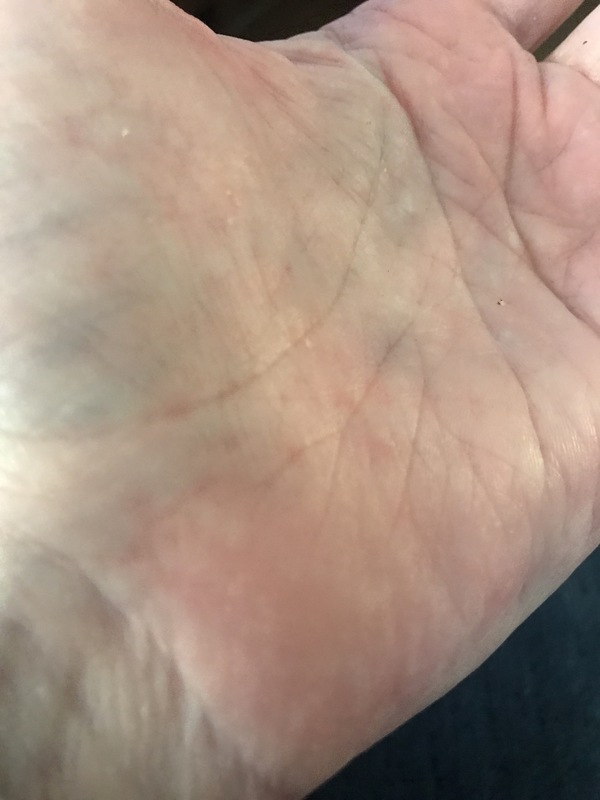 A pair of scraped palms, and a skinned knee. I fell, having failed to realize that the curb was about five inches higher than my bifocal lenses led me to believe. Fortunately a couple of young men rushed to my aid, and helped me to my feet. The part that’s the most injured is my pride. 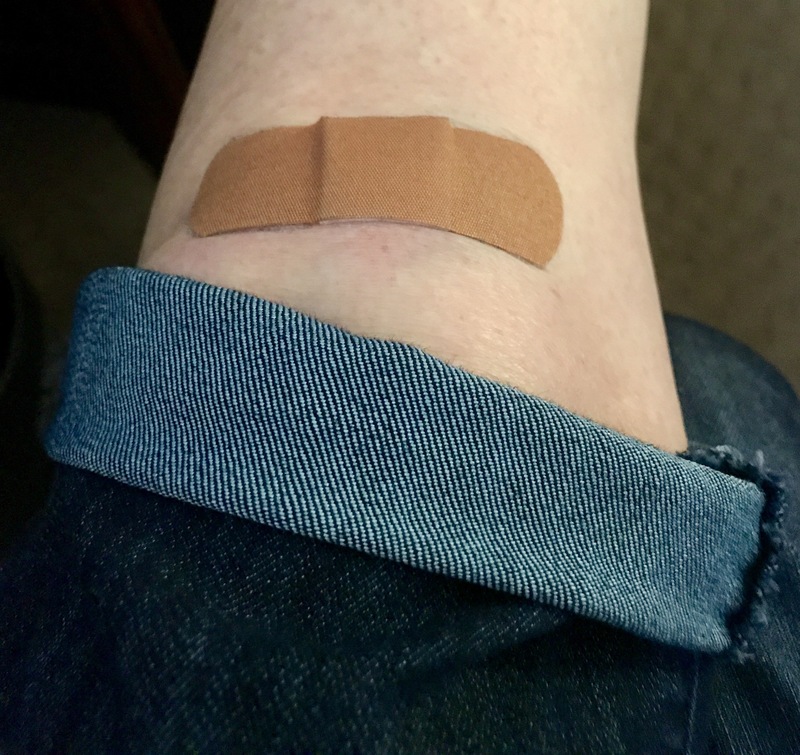 It could’ve been much worse, so I’ll take my lumps as a renewed call for caution. It’s a super cool place. Dang if you had a wand you could have made the whole incident disappear!👩🏻‍🎨🥓🚬you sure imagination these are all wands, not a paintbrush, bacon or cigarette — that’s a smoking wand! I hope I’m all out of klutzy moves.